Discover the magic of Supraliminal Self-Hypnosis! This breakthrough subliminal technology - works! Do you find yourself procrastinating when it comes to working towards your goals? Do negative thoughts and pessimism get in the way of your accomplishments? Do your projects die before they ever get off of the ground? Have you tried just about everything to become more driven to achieve your goals without success? Today is the day you can change your life! Make up your mind to achieve success! Yes, you can achieve your goals with supraliminal self-hypnosis. All you have to do is make up your mind to achieve success! With daily use, this highly effective supraliminal recording will give you the results you want! Your conscious mind will hear soothing nature sounds while your subconscious mind will hear hundreds of well-written, life changing, mind affirming hypnotic suggestions! The affirmations on this recording compel your subconscious mind to adjust your mental attitude, daily behaviors and activities in order to help you dissolve emotional blocks that sabotage your ability to reach your goals. You will gain the ability to handle stress effectively and increase your focus, self-discipline, optimism and enthusiasm so that you will be motivated to reach your goals! The changes will begin immediately. The more you listen, the more powerful the transformation. Don't even think about putting a lot of conscious effort into positive goals without preparing your sub-conscious mind for success first! If you're serious about changing your life, read further. You have been hypnotized by your life experiences to believe a great number of things about your personality, your abilities, and the world in general. Often, these lessons are positive and help you to grow towards your true potential. There are times, though, when you may learn lessons that tend to hold you back, on a subconscious level, from those things you truly deserve and desire. As you go about your life, your subconscious mind records your experiences and creates beliefs and behaviors based on these experiences. In this way, your brain is similar to a computer; the subconscious mind operates strictly from the information programmed into it. Your conscious mind determines what information is programmed into the subconscious. For this reason, bypassing the critical factor of the conscious mind allows suggestions to be accepted easily into the subconscious mind, allowing you to make up your mind to change. All of your behavior is adaptive. You do certain things because your conscious mind believes that the behavior is helping you. In other words, everything you do is due to your mind's interpretation of your life experiences. Luckily, what was created with your mind can be cured with your mind! These Self-hypnosis recordings are vastly different from the majority of subliminal products that you will find online. Recorded Supraliminally - We use the high quality software and equipment to create supraliminal recordings which contain suggestions that are recorded at very high frequencies which are outside the range of normal hearing. This method allows the suggestions to be heard and accepted by your subconscious mind without interference from your conscious mind. Although you will not hear the words, your subconscious mind will hear and accept them. Over 100+ Hypnotic Suggestions - This recording contains over 100 positive suggestions, written by a professionally certified Hypnotherapist and NLP practitioner who holds a Master's degree in psychology. Highly Effective, Well Researched Suggestions and Format - Human beings have different ways of processing information. Every person is unique. The way your brain works is unique. For that reason, each suggestion is given at least three times, in various formats so that your subconscious mind can absorb it easily. No matter who are you are - you will see results. One hundred percent guaranteed - If this product does not help you feel more confident about yourself or help you move towards your goals in 90 days contact us. My name is Sheilah Davis. I am a professional Hypnotherapist from Denver, Colorado. I hold a master's degree in psychology, a master level certification in hypnosis and am a NLP practitioner. Please feel free to contact me if you have any questions about hypnosis or this particular item. You have my full support after you purchase this item, guaranteed! P.S.- Today can be the day to take charge of the situation and begin to live your life anew. 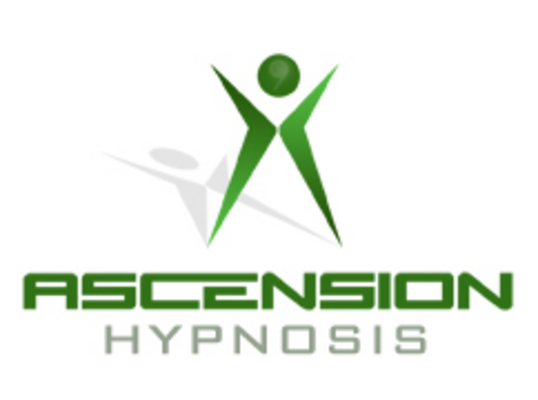 Hypnosis has helped thousands of people! Hypnosis will work for you, too! Imagine yourself as a goal oriented winner! *Important note: It is important that whenever you listen to any hypnosis or subliminal recording that you are in a safe, peaceful environment. Please do not listen to these recordings while driving a vehicle or operating dangerous machinery. Certain people should not use hypnosis or subliminal recordings: do not listen to these recordings if you are pregnant, have a pacemaker, a seizure disorder, or are under the age of 18 (without the consent of your physician).